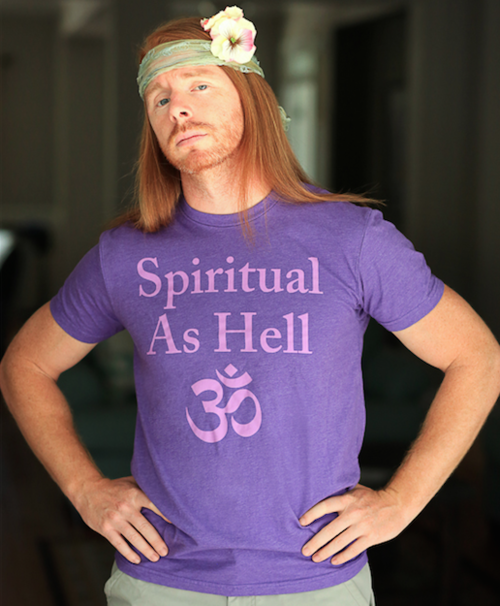 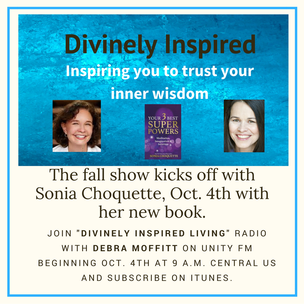 Divinely Inspired Living Radio show is on hiatus. 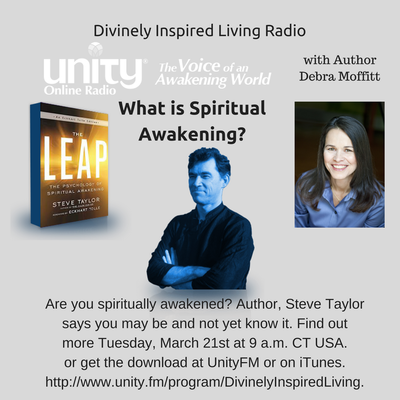 At the link you'll find archived shows with inspiring information on a broad array of spiritual topics. 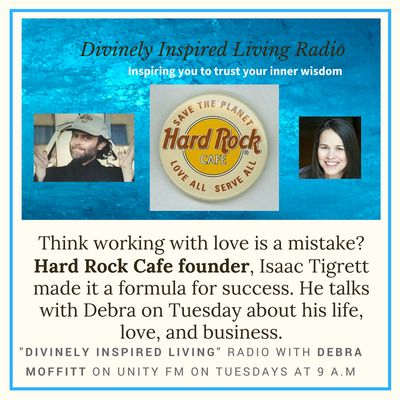 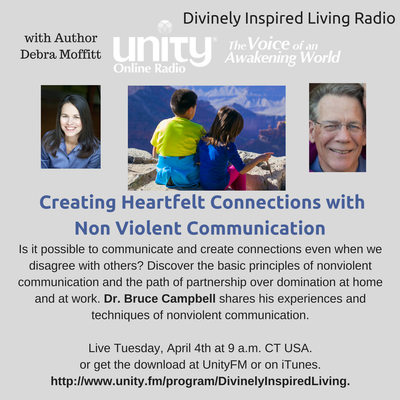 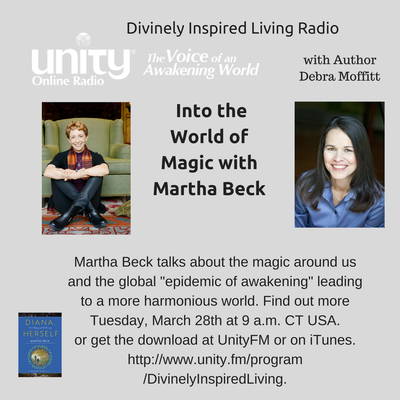 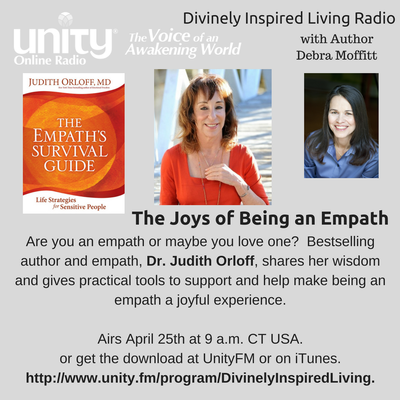 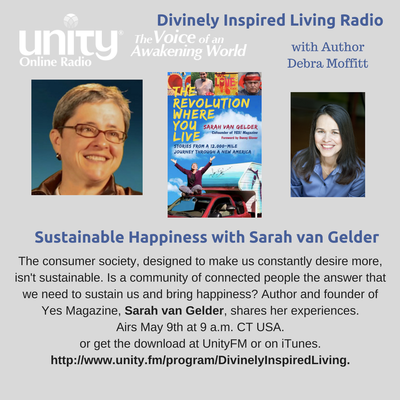 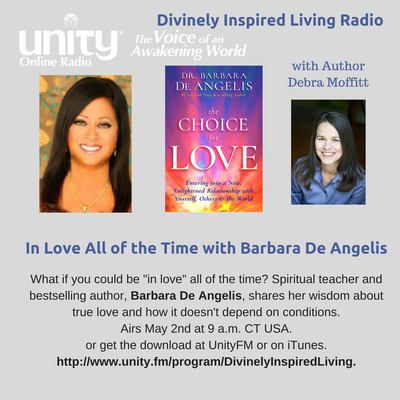 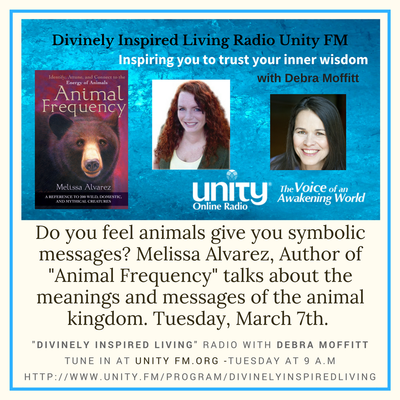 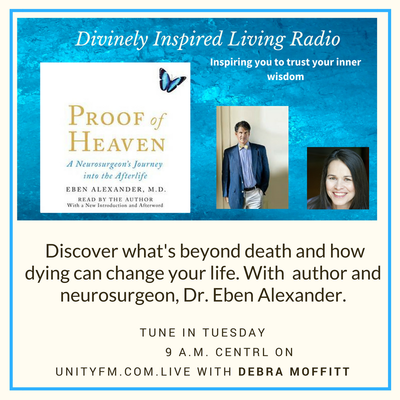 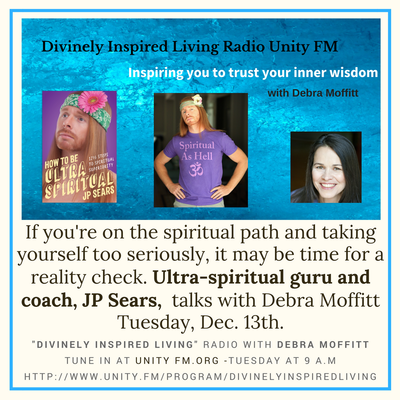 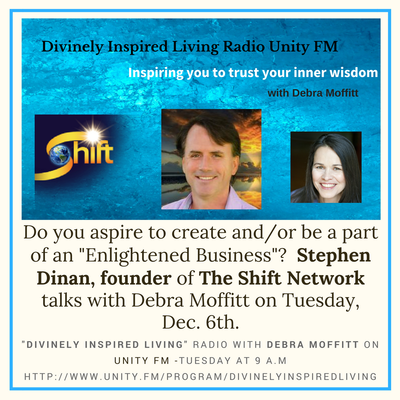 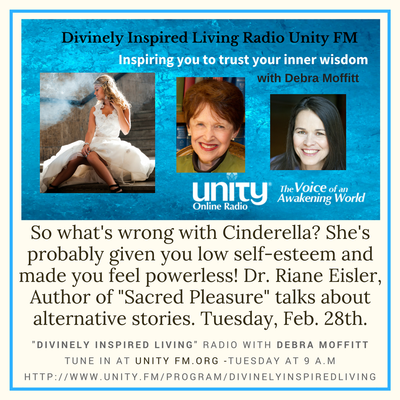 Divinely Inspired Living, Radio on Unity FM with award-winning author and host Debra Moffitt. 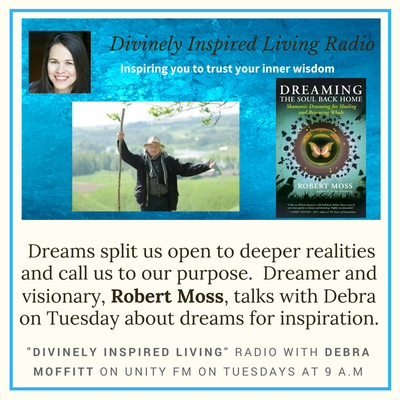 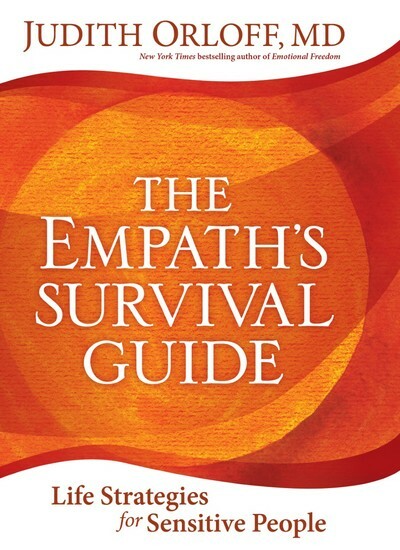 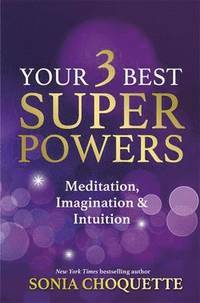 "Inspiring you to trust your inner wisdom-through conversations with people who live with purpose and passion." 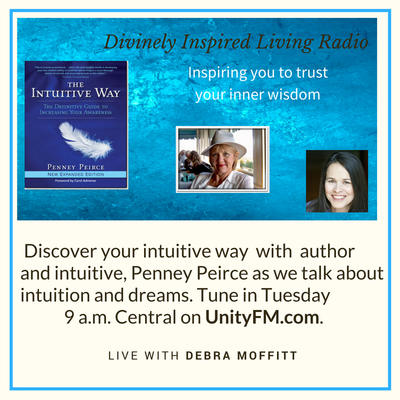 Divinely Inspired Living Radio explores light and lively ideas that encourage self-inquiry, curiosity, and spiritual exploration. 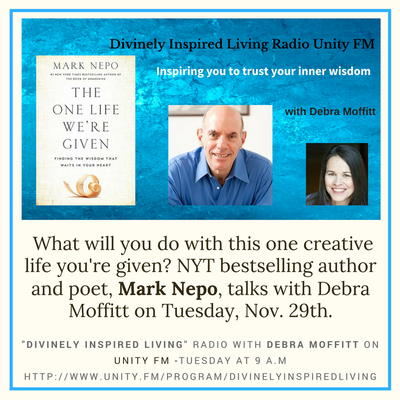 Shows include interviews with best-selling authors and top experts who share their experiences and wisdom about creativity, writing, intuition, reincarnation, business, relationships, health, and more -- all from a spiritual perspective. Download Past Shows with Top Authors and Thought-Leaders for Free Here. 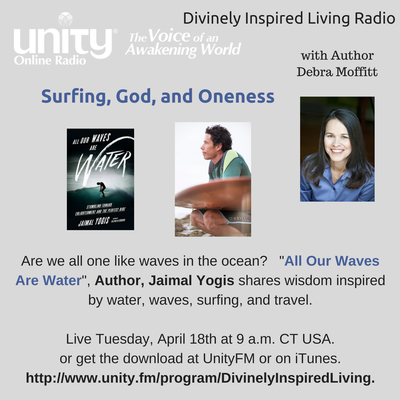 Listen live on Unity FM. 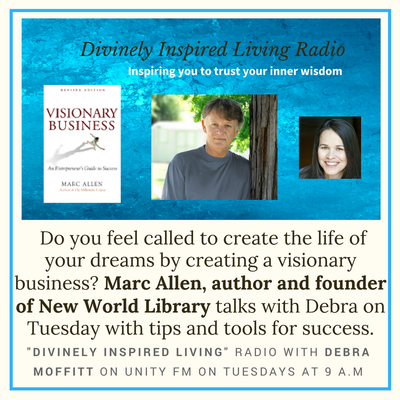 Or get the podcasts on iTunes and on Unity FM. 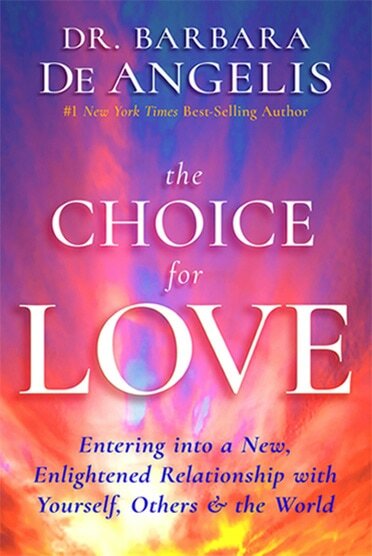 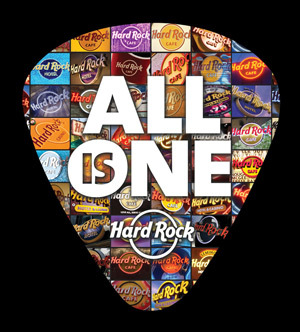 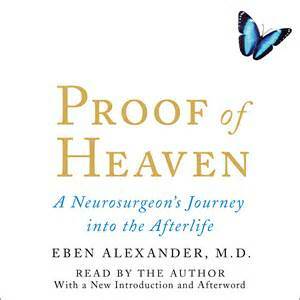 Some of my favorite shows include - interviews with Gregg Braden on "Human by Design"; A great conversation with Martha Beck, bestselling author and columnist for Oprah's "O" Magazine; author, Denise Linn talking about the man who almost murdered her; John Holland and James van Praagh on connecting with departed loved ones, and many more.